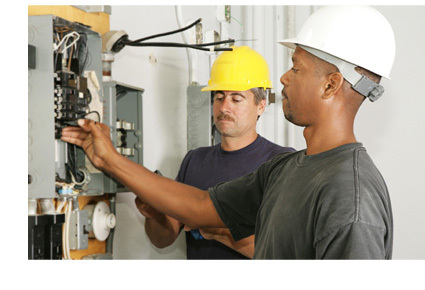 Electrical Services - Electrical Maintenance, Electrical Repairs, Master Electricians - Current Technologies Ltd.
Our accomplished team of Master and Journeymen Electricians are experienced in servicing the needs of Commercial and Industrial buildings. From a minor repair to a major renovation, we are ready to meet your requirements in a timely and efficient manner. Current Technologies has a complete team of professionals dedicated to repairing and maintaining your building electrical systems and equipment. We provide our customers with a single source for all their maintenance and repair requirements with service available 24 hours per day, seven days a week. We offer preventive maintenance programs that are individually designed to meet the specific requirements of each client, be it a large or small industrial plant, an institutional facility or a commercial building. 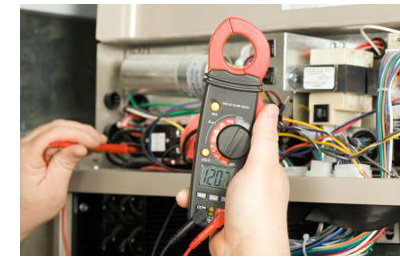 Making sure that your electrical systems are up to code is both practical and prudent. Emergencies generally cost more than preventative maintenance and providing a safe working environment should be primary concern for every building manager. Some things are best left to the experts. Especially if you are dealing with electrical issues. Electrical problems can seriously impact your business and production.When you have a concern don't hesitate to contact us to see how we can help. Whether it is keeping you prepared for an electrical safety inspection or taking care of a problem that has already manifested itself, you can call us when you need a team of experienced electricians to take care of the job.